Discount South Florida Movers knows that when it comes to your business time is money. That is why a relocation of this importance needs to be handled by a professional team with 10+ years of service experience. Our staff will ensure a smooth and efficient move to get your business set up in it’s new location as quickly as possible. We at Discount South Florida Movers are committed to relocating your business in a manner that ensures a smooth transition to your new location. By offering service on weekends and evenings after hours, we can complete your business move with little or no downtime to employees. Discount South Florida Movers will always provide services customized to your needs and budget. So contact us today to take advantage of our free on site estimate service for a guaranteed price quote in writing. The most important part of any move is the planning and preparation. Your business can not make money if it is hampered by a sloppy relocation. Trust the professionals at Discount South Florida Movers to handle your office equipment in a safe and timely manner. The main objective in a corporate move is to be time and cost efficient. The less time you spend moving, the more cost efficient it will be to your company. One way to save time is to be familiar with your new space, be aware of the dimensions and the nooks and crannies that make up your new office. Make sure that your office furniture such as desk, chairs, filing cabinets, etc. will fit in your new space. Communication is the key when it comes to a corporate move. Make sure that everyone involved (employees, landlord, movers, renters, etc.) are aware of every detail. They need to know the exact moving plan for the upcoming move. Planning is the most crucial aspect of any move. The planning process needs to be initiated as soon as possible, even months ahead. This allows plenty of leeway in unforeseen circumstances The most important factor is the effect it has on your customers, we at Discount South Florida Movers aim to make sure that your move is handled properly so your customers notice no difference in service. So call us toll free at (855) 310- 1800 or fill out our short quote form to receive a free estimate today. 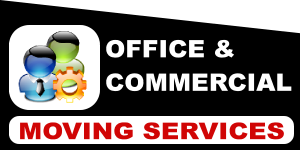 Discount South Florida business and office moving services. When it comes to your business, time is money. We relocate your company efficiently and quickly.